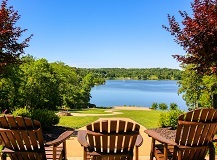 Located in the heart of the Midwest, Innsbrook is only 45 minutes west of St. Louis, so you can spend more time meeting and less time traveling. The daily distractions of the office can make it difficult to gain focus in a meeting. 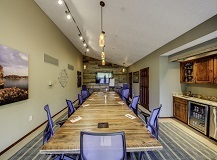 When you bring your meeting to Innsbrook, the peaceful environment allows your group to focus on the tasks at hand. Our meeting rooms are designed to provide comfortable, productive settings to help you complete your objectives. 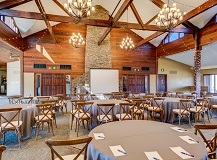 Plus, break-out rooms and decks give groups the opportunity to divide into smaller groups for brainstorming. Please fill out the form below with details of your upcoming meeting or retreat and our Meetings & Retreats Coordinator will contact you shortly.